Adam Sadberry appeared on Show 282, recorded in January 2014, at age 17. Adam Sadberry is a recipient of From the Top’s Jack Kent Cooke Young Artist Award. 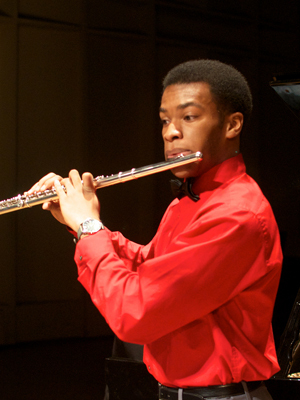 He is from Montgomery, Texas, where he attends Montgomery High School and studies flute with Vicky Williamson. He plays in the Houston Youth Symphony as well as his high schoolÕs marching band, symphonic band, and jazz band. He also plays piccolo and tenor saxophone. Every summer, he counsels at a Christian Youth Camp and attends a mission trip. Outside of music, he is very focused on his academics. Adam is a Jack Kent Cooke Young Artist.